A Canadian company helping to run drug trafficking networks across four continents was laundering its dirty money through two Dublin bank accounts. The Criminal Assets Bureau (CAB) has recovered more than €500,000 from Vincent Ramos, chief executive of Phantom Secure, who sold encrypted devices to drug traffickers. Investigators believe they were central to several drug networks and helped with the distributing of at least 450kg of cocaine around the world. 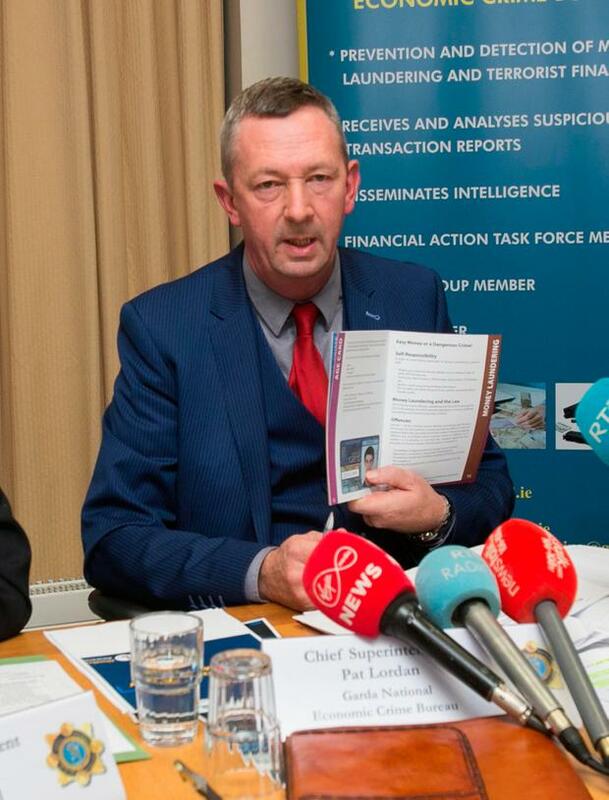 Phantom Secure had offices based in the Dublin 7 area which were raided in March. Two bank accounts holding around €530,000 were also frozen and will be transferred to the Minister for Public Expenditure and Reform. In a US court in October, Ramos admitted he and his co-conspirators facilitated the distribution of cocaine, heroin and methamphetamine around the world by supplying traffickers with encrypted devices "to thwart law enforcement" by remotely deleting or "wiping" them. Meanwhile, college students are being used as money mules to launder cash for criminals, gardaí have said. Students are being targeted on social media sites, tending to be work-from-home scams where a person would get a couple of hundred euro for transferring a couple of thousand euro. A three-month Europol operation into money laundering has seen 420 mule accounts discovered by gardaí, with 165 victims identified as part of the sting operation European Money Mule Action (EMMA) 4. The people targeted tended to be young, unemployed men, particularly students. Garda Chief Superintendent Pat Lordan said high level and well-organised criminals were using students.